Our studio (Tinos) was really beautiful, clean and with a great view of the sea!The hosts were very polite and very helpful:.Mr Sotiris told us where to go, where to eat and explained us the sightseeing of Tinos!The room was accomplished with all the necessary things (folks, knifes, plates, etc) if you want to cook and eat inside! The family with their hospitality were absolutely brilliant from the time we arrived till the time we left. The accommodation it self was very clean and well laid out, we asked if we could possibly have a toaster & frying pan and it was there the same day. The little touches of homemade cakes, jam, lemonade, lift to supermarket etc. added those special extras. We would like to say a very big thank you to Sotiris (Father), Anastasia (Mother), George (son) & Sophie (daughter) who spoke exceptional English and was really helpful (good luck with all your exams Sophie). Really nice and spacious villas. The owners were amazing, so friendly and helpful. Would certainly stay here again. Excellent rooms very clean and new. Hosts are very friendly, extremely friendly and helpful and very hospitable. Very warm welcome from host and her daughter. Cleanliness and comfort of room, everything provided bonus treats and snacks and nothing too much trouble. everything! Hosts are very hospitable and kind, property very clean. Ένα πανέμορφο κατάλυμα σε καταπληκτική τοποθεσία με τέλεια θέα. Καινούργιο, καθαρό, περιποιημένο. Μέχρι εδώ καλά γιατί ίσως τα περιμένεις όταν κλείνεις δωμάτιο. Αυτό που μας άφησε άφωνους ήταν η φιλοξενία από τους ιδιοκτήτες. Ήρθαν αμέσως με χάρτη να μας δείξουν που να πάμε και τι να δούμε. Μας είχαν στο δωμάτιο γλυκά και ποτό καλωσορισματος. Μας έφερναν γλυκά και φρούτα κατά τη διάρκεια της παραμονής μας. Ρωτούσαν διαρκώς αν χρειαζόμαστε κάτι. Δεν έχω λόγια. Καταπληκτικό ζευγάρι. Τους αξίζουν πολλά συγχαρητήρια!! η τηνοσ που ολοι ξερουμε στα καλυτερα τησ! η ευγενεια του οικοδεσποτη, τα πεντακαθαρα δωματια! η πανεμορφη θεα. Lock in a great price for Aigaio Studios – rated 9.3 by recent guests! One of our top picks in Tinos.Within a 5-minute walk from the sandy Agios Fokas Beach, the Cycladic-style Aigaio Studios offer traditional accommodations. 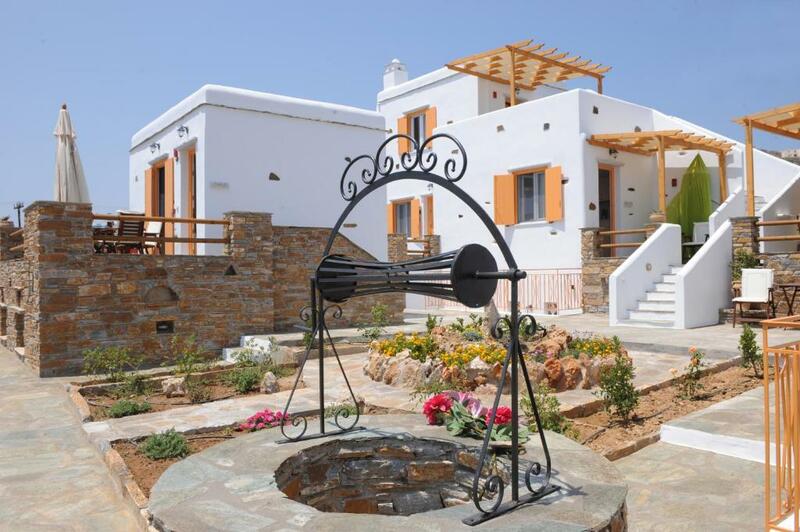 All air-conditioned units are self-catering and feature furnished verandas overlooking the Aegean Sea. Bedrooms are decorated with calming colors and traditional décor details with a nautical theme. Kitchenettes are equipped with fridge, kettle and coffee maker. Free Wi-Fi is offered in all rooms and apartments. 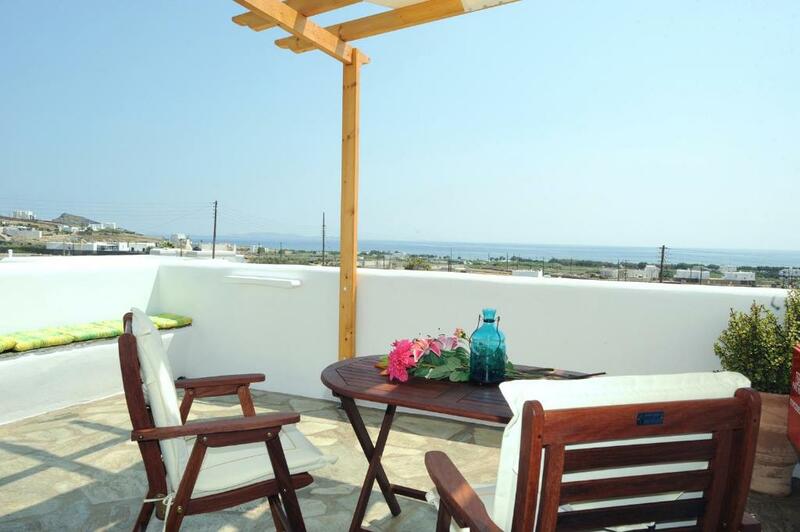 A sun terrace with sun loungers and sea views is ideal for relaxation at Studios Aigaio. An on-site playground with swings and a slide is provided. The town of Tinos is 0.9 mi away. Many scenic villages such as Dio Choria are within a 20-minute drive. Free private parking is possible at the Aigaio, and a private bus is provided for their transportation. When would you like to stay at Aigaio Studios? Air-conditioned room with furnished verandas overlooking the Aegean Sea. Includes a kitchenette with fridge, kettle and coffee maker. Free Wi-Fi is offered. Please note that there is no capacity for an extra bed in this room type. A baby cot may be added upon request. This split-level apartment offers 2 separate double bedrooms with 2 bathrooms, a kitchenette, seating and dining area. Offers views to the Aegean Sea. 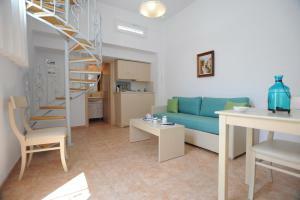 This studio offers a double bed, a kitchenette, seating and dining area. 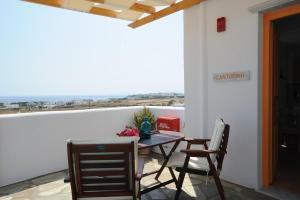 Offers views to the Aegean Sea. A baby cot may be added upon request. It can accommodate 1 extra single bed. Η ΦΙΛΟΞΕΝΙΑ ΜΕ ΤΑ ΧΕΙΡΟΠΟΙΗΤΑ ΕΔΕΣΜΑΤΑ ΠΟΥ ΘΑ ΓΕΥΘΟΥΝ ΟΙ ΕΠΙΣΚΕΠΤΕΣ ΚΑΤΑ ΤΗΝ ΑΦΙΞΗ ,ΚΑΘΩΣ ΚΑΙ ΣΕ ΟΛΗ ΤΗΝ ΔΙΑΡΚΕΙΑ ΤΗΣ ΔΙΑΜΟΝΗΣ ΤΟΥΣ!!!! House Rules Aigaio Studios takes special requests – add in the next step! Aigaio Studios accepts these cards and reserves the right to temporarily hold an amount prior to arrival. Please note that the kitchenette is suitable only for preparing breakfast. Please inform Aigaio Studios of your expected arrival time in advance. You can use the Special Requests box when booking, or contact the property directly using the contact details in your confirmation. I should say that in the kitchen there were some things (butter, coffee, marmalade, cake) for a very basic breakfast but I highly recommend the hosts to add a real breakfast to these amazing studios! There was nothing we didn't like about the property at all it was lovely. The only one downside is that it was a little bit further away than expected from the main town (approx 25 min walk) and the walk along the roads wasn't the best, you could of course catch the local bus or get a taxi. It was perfect! Value for money.